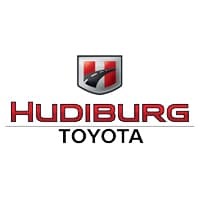 Unless you’re a professional acrobat, you probably can’t perform a complicated hoop routine of jumps, leaps, and inhuman flexibility–so why do dealerships and credit lenders in Oklahoma City expect you to be able to do it when applying for a lease or auto loan at Hudiburg Toyota, we want to do things differently: we want to give drivers in Midwest City and OKC a better buy the new or used car that fits their lifestyle, and a faster, easier way to get into a fun and flexible Toyota lease. No hoops required. Instead of limiting your options for the exact model and trim that you want, we’ll open doors to new financing possibilities for you. If you can’t afford payments on a top-of-the-line Tundra, we can see if a truck lease or a mid-level Tacoma is maybe more your speed–if you’d like to lease but you have a huge commute to work, we’ll do what we can to make it work. Just apply for financing online, and our team of experts can give you a detailed rundown of your financing options for a Toyota lease or a used car loan. If you’re worried about your credit standing, and are concerned what a hard credit check might do to your score (applications are a hard check), you do have the option to pre-qualify for financing. While this is not a guarantee for a lease or loan, it gives us a better idea of your financial situation and which plan may be the best for you. Submit basic information for pre-qualification and we’ll get back to you as soon as we can.